Jeanne Pédeuboy was born in Lucq de Béarn, a village on the plain near Oloron, Basse Pyrénées, Atlantiques, France, on 12 September 1880. She was the oldest of seven children of Jacques Pedeuboy and Marie Bergerou-Montaut. Her father Jacques was a farmer. 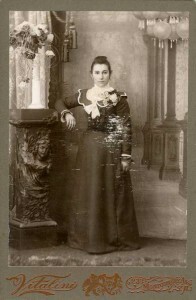 Jeanne had several relatives in San Francisco. She immigrated to the US in 1899 as a passenger on the ship Maastam. She departed on 2 February 1899. She was 18 years of age. She was accompanied by her sister, Marie, 16 years of age. They arrived at Ellis Island, in New York City, New York — the site of the Statue of Liberty (which was a gift to the US from France). The voyage took 16 days. 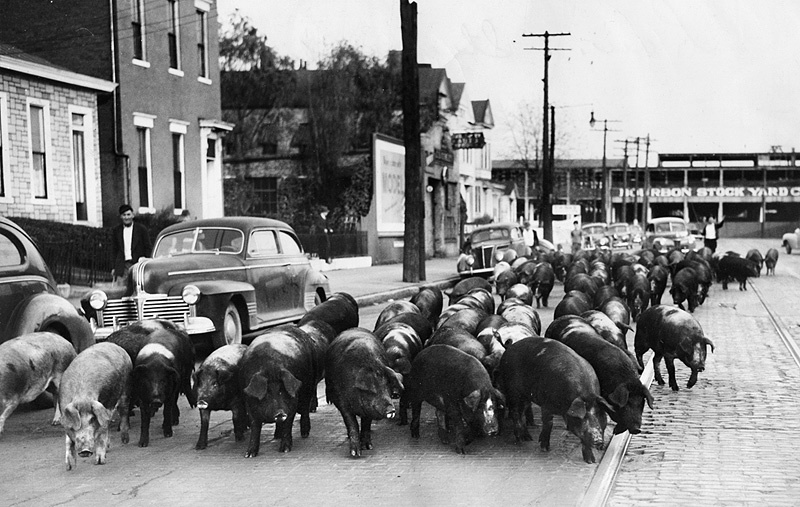 The passenger list indicates they were going to San Francisco to be with their Uncle Bernard. Most likely, Jeanne and Marie traveled by train from New York to San Francisco, a distance of 3200 miles. It took approximately … a week ? Pierre Barbé was born in Lurbe, a small mountain village in the Valley d’Aspe, Basses Pyrénées, Atlantiques, France, on 10 March 1877. He was the youngest of three children of Jean Barbé and Marie Cousté. His father Jean was a goat herder; he herded goats in the mountains. 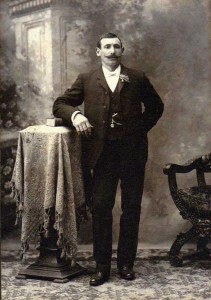 Pierre immigrated to the US from France in 1900 as a passenger on the ship Pretoria. He was 23 years of age. He arrived at Ellis Island in New York City, New York. The passenger list indicates that Pierre was going to San Francisco to be with his cousin (unidentified). 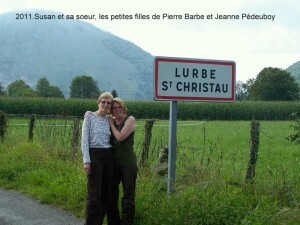 We do not know if Pierre and Jeanne were acquainted in France. A researcher’s thoughts: it is possible. Lurbe and Lucq de Béarn are 14 miles apart. It is likely that the young people gathered for activities from villages throughout the area. Pierre and Jeanne married in the French church of Notre Dame des Victoires in San Francisco in March 1905. Pierre was age 28 years and Jeanne was age 24 years. The ceremony was witnessed by Marie Pedeuboy (Jeanne’s sister) and Pierre Casaubon. Pierre and Jeanne settled in San Francisco and had three children: Alice, John and Louise. 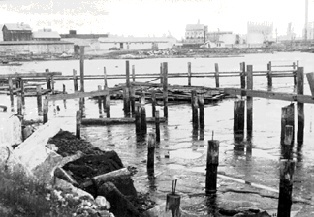 Businesses were constructed on pilings over the water so the bay tides and nearby creeks could wash away the waste from the slaughterhouses, meat packing plants and tanneries. One day, Pierre was driving a horse-drawn wagon filled with hides from the slaughterhouse to the tannery at the other end of the street. Some nearby workers shook out their aprons, causing the horses to spook and run. Unfortunately, there was a wagon accident. Pierre was injured and later died as a result. He was 38 years old at the time of his death on 23 May 1915. Pierre’s grand children did not know him. But they did know their grandmother Jeanne. Jeanne worked in a French laundry and earned additional money by ironing for others at home. After Pierre’s death, she became a naturalized US citizen in December 1915. Jeanne purchased a house in San Francisco with a yard, most of which she devoted to a large vegetable garden. She walked or rode public transportation throughout the City. She did not speak to her grandchildren in French. She loved English soap operas on TV. Jeanne never traveled back to France to visit her family. Jeanne lived in San Francisco until her death on 18 Dec 1962 at the age of 82 years. 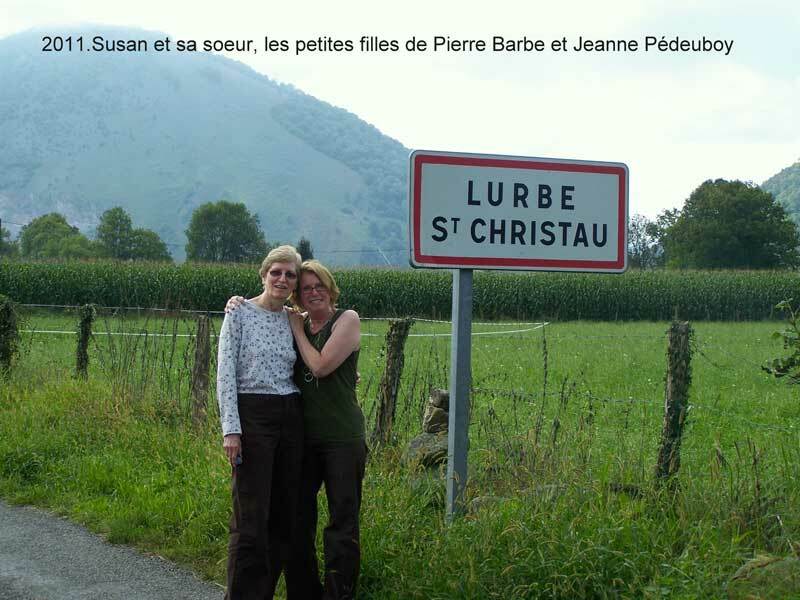 Texte écrit par Susan sa petite-fille. This entry was posted in Family Histories and tagged Californie by Christiane. Bookmark the permalink.